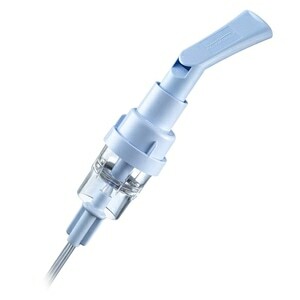 Intuitively designed, the PulmoNeb LT is easy for new and young patients alike to operate. Its sturdy body is sleek, compact, and lightweight. In addition, integrated wire guides eliminate contact with moving parts and the ball bearing connecting rod design further enhances the system's reliability. The PulmoNeb LT Compressor Nebulizer machine has a high maximum pressure and air flow range to ensure powerful aerosol delivery. It produces aerosol with a Mass Median Aerodynamic Diameter (MMAD) of 2.7 microns to ensure 18% more medication is delivered than with traditional open systems. 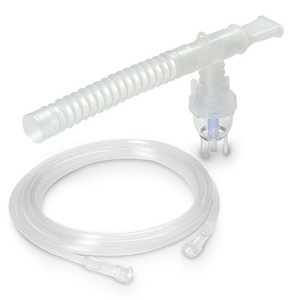 Each PulmoNeb LT Kit comes complete with either a disposable or reusable VixOne Nebulizer and tubing so you can get treatments started right away. 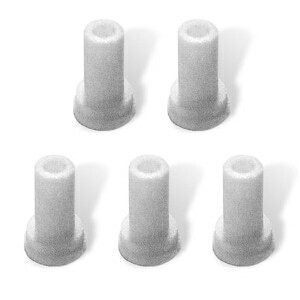 VixOne Nebulizers combine a high-capacity medication bowl, a comfortable mouthpiece, and an anti-spill tee design to provide a secure seal and a highly efficient delivery system. With VixOne 84% of drug output volume is below 5 microns in size and the low residual volume reduces medication waste. 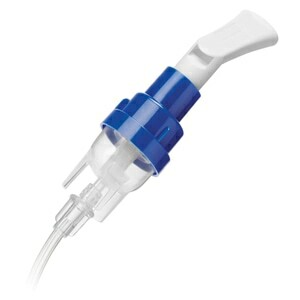 VixOne Nebulizers are great, but if you prefer to use a different nebulizer brand that's fine too! 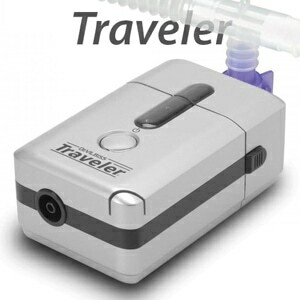 PulmoNeb LT can be used with any standard nebulizer so you can choose whichever brand is right for you. Intended Use The compressor is used in conjunction with a jet (pneumatic) nebulizer to convert certain inhalable drugs into an aerosol form for inhalation by a patient. The device can be used with adult or pediatric patients. Prompt on ground delivery, worked perfectly for a replacement unit. I've had your nebulizer for 4 yrs now and I love it. I also have 3 others(one in every room) from other mfgs but I use yours 99% of the time. Powerful motor, good airflow and quick delivery, however the tubing and output nozzle heat up before delivery is finished. I am using everything that came with the machine. when I opened the package and plugged the machine in, I knew immediately I would not be using it. the machine was so loud, you would need earplugs.